Posted on October 27, 2015 . No Comments. I’ve been a strength and conditioning coach for seventeen years. Thirteen of them were with the National Hockey League. Strength and conditioning for ice hockey really didn’t exist until the early 1990s. Before then, any off-ice work might have been spent riding stationary bikes, hoping to improve VO2 max. Strength training, sprinting, and plyometrics weren’t being done for the sport until some professionals began questioning the off-ice training process. Today, ice hockey players are training more like they should be. These men and women who skate up and down the ice on three millimeters width of steel at high levels of speed while withstanding and giving out physical contact are getting bigger, stronger, and faster while maintaining single-digit body fat percentages. Kettlebells turned out to be immensely valuable for hockey training. As a strength and conditioning coach who believes hockey players should train for improvements in strength and power while also maintaining high levels of conditioning, I have always used free weights in my programs. Olympic lift variations, squats, presses, and pull variations, as well as sprints and plyometrics have been staples of my programs. In 2011, I attended the RKC level I instructor certification (StrongFirst was not established until the following year). Until then, I had been somewhat skeptical of kettlebell training and didn’t see the benefit of adding it to my program because I thought it would take a long time to teach it to my athletes. But thanks to Pavel’s curriculum, I learned that kettlebell training is simple to teach — especially in a team atmosphere. It became even more obvious when I looked around at my certification and watched over a hundred people executing kettlebell lifts properly with the help of precise coaching from instructors such as Pavel Tsatsouline and Brett Jones. Hockey is played at a high pace with flexed ankles, knees, and hips. Players are always in flexion — even considering the time spent not playing the game. Predictably, muscle groups such as the hip flexors and adductors are commonly overworked and tight, and accompanied by an anteriorly rotated pelvis. The ability to produce hip extension is lacking in hockey. I have found the wear and tear of playing hockey can make performing Olympic lifts challenging. For example, it is not uncommon for those with wrist or hand issues to be uncomfortable with Olympic lifts. However, when I was introduced to a proper kettlebell swing, the benefit was immediately apparent. This is an exercise that allows our players to extend their hips powerfully in a safe manner. Originally, we implemented the swing for those players who don’t Olympic lift due to technical reasons and/or previous injures. Now, the swing is a staple in our program as a power exercise for every player. Pavel’s methods showed me simple ways to teach my hockey players. I am asked quite frequently which exercise I would choose if I could pick just one. When it comes to the most bang for your buck, the get up is a strong contender. Hockey doesn’t include an overhead component during play. Other than a goaltender reaching up to catch a puck on a rare occasion, the game is played with the elbows below the shoulders. But the shoulders must be strong and stable to absorb force during the game. The ability to deliver checks while also being able to absorb checks and possible collisions with the boards is crucial. To help prepare our players, we have always used a balanced approach in regards to our upper-body strength training in both the horizontal and vertical planes. Pushing exercises such as push-ups, bench pressing variations, and overhead pressing have always been included. Pulling exercises such as pull-up variations and horizontal rowing have always been used to improve pulling strength. But the get-up has allowed us to do shoulder stabilization work while moving in a totally different environment. There is no question the muscle groups working to help stabilize the shoulder joints during the get-up are also going to help us have strong and stable shoulders to prevent injuries. Along with the Functional Movement Screen (FMS), the get-up has given us another way to screen our players. Thoracic spine mobility, hip extension (we prefer the high bridge version because I believe our players always need more hip extension), hip hinging, and single-leg strength can be both assessed and improved with the get-up. Get-ups help us have strong and stable shoulders to prevent injuries. 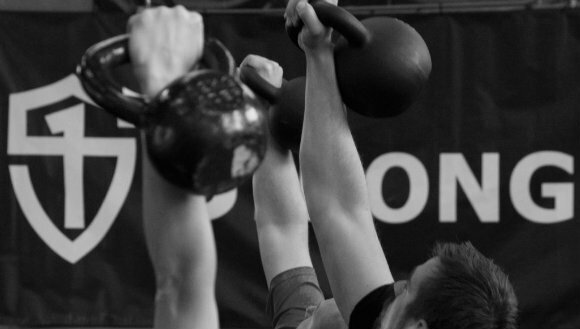 We use kettlebells for other exercises such as goblet squats, front squats (double), and single-leg deadlifts, but the swing and the get-up in particular have made a huge impact on my programming philosophy as a strength and conditioning coach. It is clear these two movements have helped us to improve power and resist injuries. Sean Skahan was named Head Strength and Conditioning Coach for Men’s Ice Hockey at Boston University in July of 2015. Prior to taking the position, Skahan was the strength and conditioning coach for the National Hockey League’s (NHL) Anaheim Ducks for thirteen seasons, where he was responsible for the overall strength and conditioning program for all players in the Ducks’ system. Skahan holds certifications from the National Strength and Conditioning Association (NSCA), Functional Movement Screen (FMS), and USA Weightlifting. 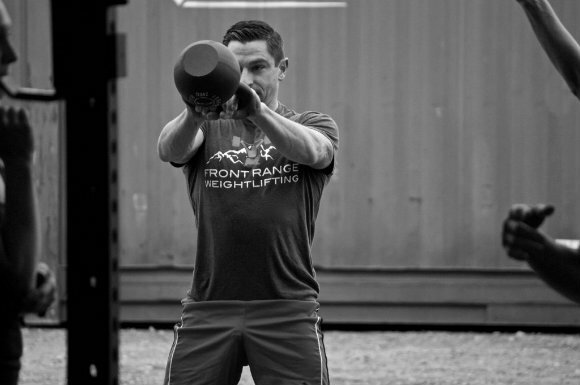 He is also certified as a kettlebell movement specialist (CK-FMS) and a StrongFirst Level I SFG instructor. Skahan presents at strength and conditioning conferences worldwide when his schedule permits. If only there was a program focused on swings and get-ups. Skahan holds certifications from the National Strength and Conditioning Association (NSCA), Functional Movement Screen (FMS), and USA Weightlifting. 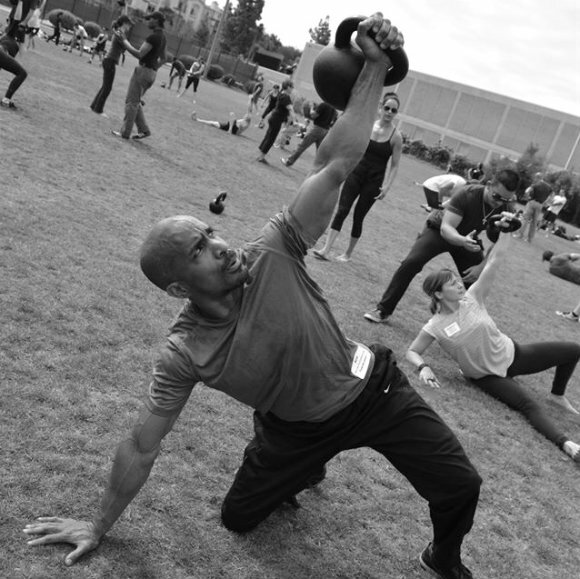 He is also certified as a kettlebell movement specialist (CK-FMS) and a StrongFirst Level I SFG instructor.